Come to The Park, North Devon’s top 4-star hotel, for your romantic break. We will put together a package that has all the elements you need for a magical and memorable stay. Choose from our selection of luxury double rooms, many with awesome views over picturesque Rock Park. Use of leisure facilities at The Barnstaple Hotel. 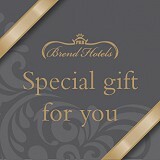 Stay tip: Why not add a few romantic touches such as fresh flowers, chilled champagne on arrival or luxury chocolates? Talk to our reception team who will be happy to help plan your perfect romantic break. Price is based on two people sharing for 3 nights or more in a Standard Room. Price is based on winter season: 2nd January - 20th March and 1st November - 23rd December.